The following article on the importance of putting your San Diego house into a trust will provide a brief look into the main reasons why this is a good idea for California homeowners. However, this is simply an introduction into the topic of living trusts and home-ownership and should not be construed as legal advice specific to your situation. It is very important that you put your San Diego, California home in a trust. A living trust, also known as a family trust, allows your estate’s assets to avoid a San Diego probate. Avoiding probate means your estate will not be locked into a lengthy probate process that can last for years and cost as much as 5% of the total value of the estate. In California, a home is valued at the appraised value, rather than how much equity you have in the home. For example, if you have a home appraised at $950,000 and a mortgage of $400,000, your home’s value for estate valuation purposes is $950,000, not $550,000. This is significant because probate fees are statutory (see below). Fees and are based on the total value of the estate. 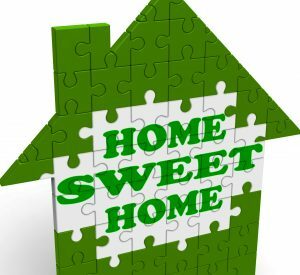 Therefore, the probate fees attributed to the value of the home would include the full appraised value of the home. California’s statutory probate fees: 4% of the first 100,000 of the gross value of the probate estate; 3% of the next $100,000; 2% of the next $800,000; 1% of the next $9 million. On a $950,000 home, probate attorney fees total $21,500 (not counting filing fees and home appraisal). The benefit to placing your home in a trust is that a living trust avoids California’s statutory probate fees and court costs. As mentioned above, a San Diego probate can last a long time. At best, you are looking at 6 months. However, many probates can last a year or two. If a will contest occurs, probate litigation in San Diego can last for many years. A great way to prevent this delay is to put your house in a living trust. The typical timeline for trust administration is around 3-6 months. Your home may be currently in the name of you and your spouse in joint tenancy. This will allow your home to pass to the surviving spouse. However, the surviving spouse still needs a way to pass the property when he or she dies. Joint tenancy simply delays the inevitable. Further, if both spouses die together, the property must be probated. Therefore, joint tenancy is not the answer to avoiding probate of your home in California. Many people are under the impression that a will avoids probate in California because it becomes a testamentary trust when the executor dies. However, a last will and testament is subject to the probate court and simply gives the court instructions on how to distribute assets. A testamentary trust and a living trust are not the same thing. As a result, a will is not the answer to avoiding a San Diego probate. The following are some basic guidelines on the steps to place your house into your living trust. Both Grantor and Grantee must sign the deed. You can sign the Grantor line with your regular signature and include the word “trustee” after your signature on the Grantee line. You must also provide the description of the real property. Note: the exact wording used for the description should be used verbatim. Include the Assesor’s Parcel Number (APN No.) and have the deed notarized by a notary public. Make sure to include a preliminary change of ownership report form signed by the transferee (the Grantee). You can view the form by clicking here. Line K. of the PCOR form deals with transferring the real property into a trust. Be careful because if this is not done correctly it could trigger a property tax reassessment. You may bring your documents in for recording. The following address were provided by the San Diego Assessor/Recorder/County Clerk page. Transferring your house into your living trust can be daunting. Due to the possible tax ramifications involved with transferring your real property into your trust it is advisable to seek out professional help. Give Harold a call today to consult with a San Diego Will and Trust Lawyer who is also a certified specialist by the State Bar of California in the areas of Estate Planning, Trust and Probate Law. Thank you for reading our article, Why you should put your house in a trust in San Diego. Please contact us today for a free consultation.